July 13 and 14: Summer, and a pop up! We’re thrilled to be announcing a couple of things: a new menu for the heart of summer, and another pop-up at Neighbor’s Corner, in San Francisco! Sticky smoked pork ribs, summer succotash, cider barbecue sauce, collard greens, southern potato salad, fresh tomatoes, pickled green beans, and chocolate pudding. 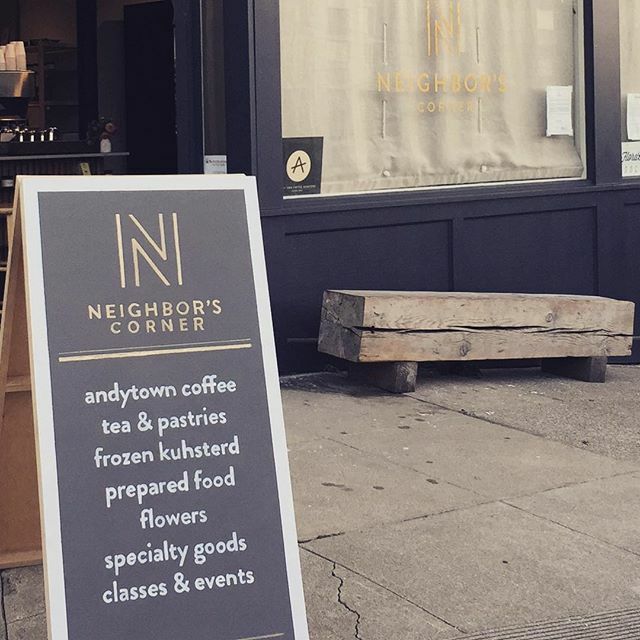 On July 13, from 4:00 to 8:00 pm, your very own Laura McGrath and Jennifer Lynch will be hanging out at the adorable Neighbor’s Corner, selling elements from the menu above and Trek cache crates. You should really come say hi to us if you’re in the area, and pick up some delicious. 10% of all sales for the pop up will benefit Project B. Dance Company. Their coffee is beautiful, too, and they have unique and wonderful pieces from local makers like h-filaments for sale. Come see! We’ll deliver on Thursday, July 14, to addresses in Berkeley, Oakland, and San Francisco. What do all the types and sizes mean? We offer each menu in a small size, feeding 2-4, and a regular, feeding 4-8. The vegetarian version of this menu contains the succotash, the omnivore’s version contains the ribs, and the all-in contains both main dishes (and therefore feeds more people, though you may want to get some extra pudding if you have a crowd coming). Pastured, long-smoked, sweet and smoky, and requiring commitment. Summer in a jar: corn, fresh beans, summer squash, new onions, peppers, herbs. Apple-based, tart and sweet and spicy, for making everything better. Long-cooked, with onions and smoky salt and vinegar. Our version of down-home: homemade lemony mayo, medium eggs, celery, pickled garlic scapes, scallions, a little crème fraiche. Best of the moment, for adding to your succotash or eating on their own. Our latest batch, with lemon verbena. With TCHO chocolate, in individual jars—two for the small and four for the regular. You can add more pudding in extras, if you like. You can order any element or a small all-in crate for pickup at Neighbor’s Corner on Wednesday, July 13, or any crate for delivery on Thursday, July 14. The Trek cache crate is still available, too!